True Religion 2s Body Rinse Straight Flap 5-pocket Jeans Sz 34 Ret. Leg material to let out: finished leg. Leg opening: 8". Inseam: 33 3/4". Good condition mens true religion black jeans size 32. Condition is Pre-owned. Shipped with USPS Priority Mail Flat Rate Envelope. Ricky Big Q T. Ricky Mul Ti Big. Color: Dark Blue. Size: 42, inseam 32.5". Style: M24859BA1. 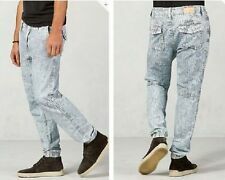 True Religion Straight Leg Ricky Medium Wash Men's Blue Jeans 30 X 32. These jeans are in great condition. There appears to be a light spot on the right leg -the tip of the marker is pointing at it. Lot Of 2 True Religion Jeans Size 40 . Condition is Pre-owned. Shipped with USPS Priority Mail. Scuffed Hem. Inseam - 33". Leg Opening - 9". Good condition with normal pre-owned wear. Goldish, bronze stitching. 100% COTTON. WE WILL ANSWER AS QUICKLY AS POSSIBLE. LOOK CLOSELY. NO EXCEPTIONS. 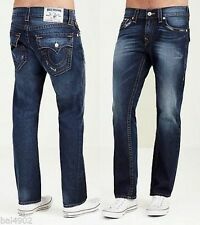 True Religion section straight, medium wash, size 38'/34' ! Bid with confidence. Carefully read item description and view pictures. No returns. Feel free to send a message with any questions, I will try to reply promptly. All items come from a smoke free and pet free home. I bought these jeans in a clothing lot. I never got around to wearing them though. Size 42" Waist x 34" Inseam. 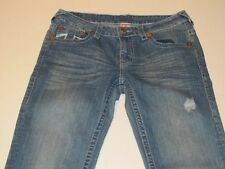 Men’s true religion jeans 36x32 Barely Worn Excellent Condition. Condition is Pre-owned. Shipped with USPS Priority Mail. 100% cotton American made - thanks for looking! 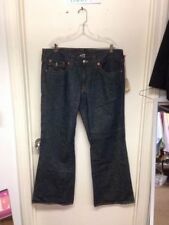 These jeans are in amazing condition with very little wear(see pictures for full details). Size 40" Waist x 34" Inseam. Mens true religion jeans Size 42 Ricky Supert. Condition is Pre-owned. Shipped with USPS Priority Mail.